To browse the latest Honda models in person and a collection of pre-owned models, visit us at our Gatwick showroom. Here you have the opportunity to see a large range of cars in one place. 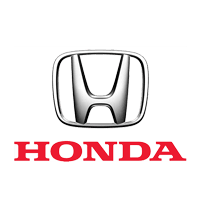 You can take your time exploring the cars and speak to a Honda expert about what each has to offer. Plus, you can take any out for a test drive. We are located on London Road in Crawley, West Sussex, just off Crawley Avenue (A2011). We are easy to reach for customers across the region from East Grinstead to Horsham. We’re also close to the M23, connecting us to the M25 for customers based in South London, and you’ll find lots of parking at the showroom. We’re open every day of the week, so you can come along to the showroom on any day that suits you. Opening times are slightly reduced during the weekend, but there is still plenty of time to visit us on either day. At the showroom, you will find lots of cars for sale. We aim to create a relaxed setting so you never feel pushed into a sale. Our Honda team will be happy to help you if you ask. We also boast a fully-equipped aftersales centre that can carry out all sorts of servicing and repairs on your car.